This entry was posted in Anime, On The Box, The Beginner's Guide to Anime and tagged anime, Beginner's Guide to Anime, Mamoru Hosoda, Summer Wars, The Beginner's Guide to Anime by Ian Wolf. Bookmark the permalink. I just read the review, great job (I can’t comment on that page from my WP). I hadn’t even realized that the card game was a real game and the rules weren’t explained. Overall I thought the movie was great, with maybe a few unavoidable flaws, it was nearly flawless. I can send you the link to my review too if you want to read it. Whoops may have sent my comment twice; is so feel free to delete one. P.S. have you seen other movies by this director? Yes, I’ve also covered “The Girl Who Leapt Through Time” and “Wolf Children” in my “Beginner’s Guide to Anime”. I’d be happy to read your article. Great, I will have to check out those reviews and the movie (feel free to post the links). 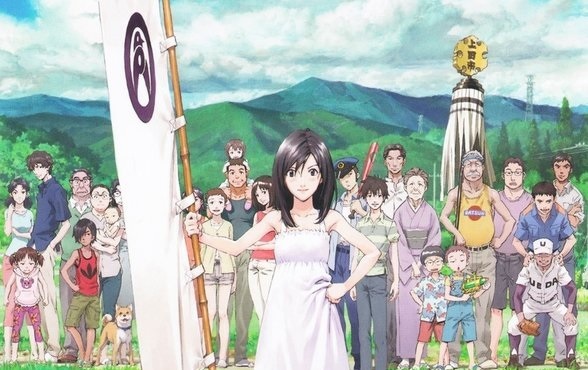 From what I understand are those movies similar in style to Summer Wars? Great job, I’ll have to check them out.